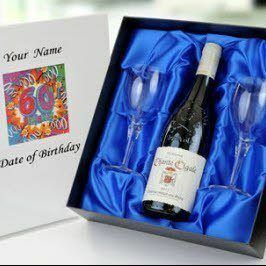 Wine and Glasses in a box which may be personalised on the lid. several gold medals in Orange and Paris. are destemmed, crushed and cold macerated.